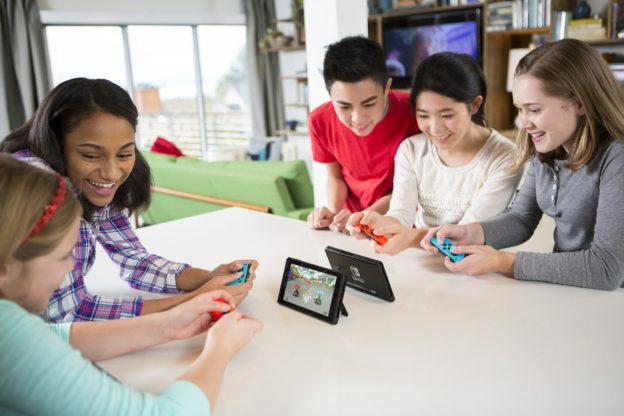 REDMOND, Wash.–(BUSINESS WIRE)– According to the NPD Group, which tracks video game sales in the United States, the Nintendo Switch system was the best-selling video game hardware in the month of April with more than 280,000 units sold. This is the second month in a row that Nintendo Switch has led the pack in video game hardware sales, following a record-breaking launch in March. April sales of Nintendo Switch and the Nintendo 3DS family of systems (more than 68,000 units sold) combined to make up almost half of all hardware sales across all dedicated video game systems. Nintendo will look to continue this momentum into the summer with a series of great new games for Nintendo Switch and Nintendo 3DS. The upcoming lineups for both systems include Fire Emblem Echoes: Shadows of Valentia (Nintendo 3DS, May 19), Ultra Street Fighter II: The Final Challengers from Capcom (Nintendo Switch, May 26), ARMS (Nintendo Switch, June 16), Ever Oasis (Nintendo 3DS, June 23) and Splatoon 2 (Nintendo Switch, July 21). Nintendo 3DS games Hey! Pikminand Miitopia both launch on July 28, the same day as New Nintendo 2DS XL, Nintendo’s newest hand-held system.